I have lots of ideas. Sometimes they are BRILLIANT AMAZING ideas that just appear in my life in a cloud of sparkly thoughts like a veritable genie from a bottle. Sometimes they are COLOSSAL FAILURE ideas that bring tears and ice cream eating on the floor of the closet... (and also valuable insights if we are being completely honest.) But sometimes...I just have regular old ideas that are neither good or bad. This is one of those ideas. It's Friday! 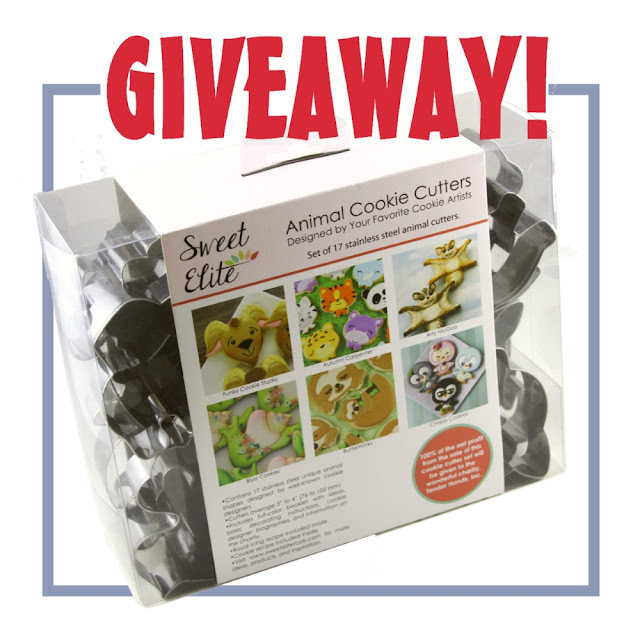 Want to win a set of Animal Cutters for Charity?! Just click that Easy Entry button by midnight tonight! 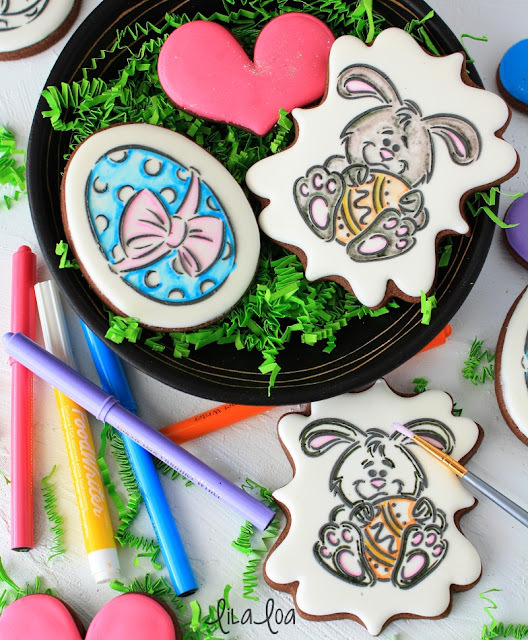 Use this cookie decorating tutorial to learn how to make decorated Easter sugar cookies with buttercream!! What did that say up there? There are BUTTERCREAM COOKIES IN THIS POST!! It's Friday! 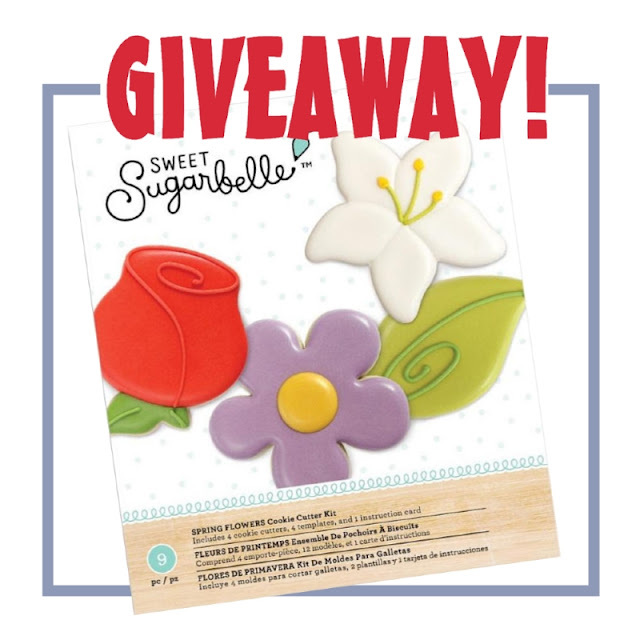 Want to win a set of Sweet Sugarbelle Spring Flower cutters?! Just click that Easy Entry button by midnight tonight! 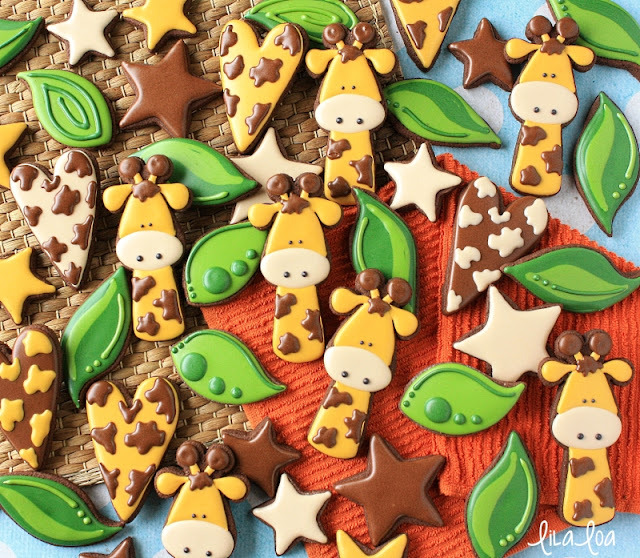 Use this cookie decorating tutorial to learn how to make cute and adorable giraffe sugar cookies!! When I was younger, I worked as a sailboat instructor at a summer camp that was on the shores of a very large lake. In the afternoons, I would take groups of campers out on one of the two yacht size sailboats that the camp owned. We would sail around for hours and come back just in time for dinner. I was LIVING THE LIFE. Yeay for another FRIDAY!!! 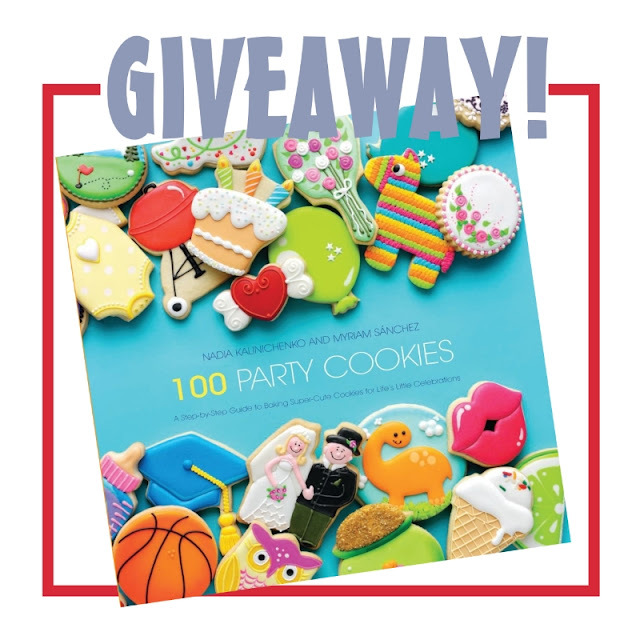 Want to win a copy of 100 Party Cookies by Nadia Kalinichenko and Myriam Sanchez? Over 100 tutorials with designs for all of life's little celebrations! Just click that Easy Entry button by midnight tonight! 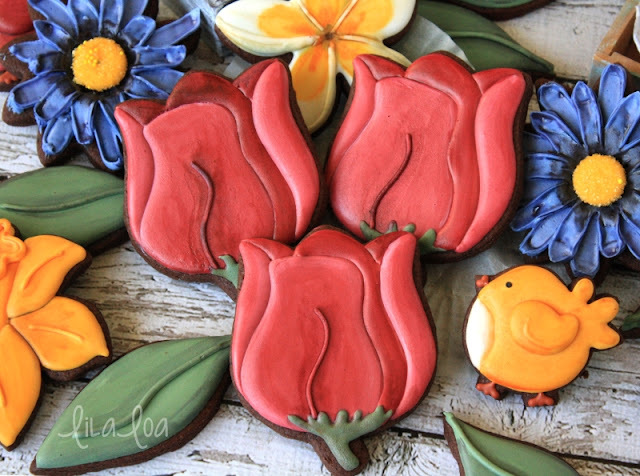 Use this cookie decorating tutorial to learn how to make decorated tulip sugar cookies. Her: Hey mom, can you do my laundry today? It has to be TODAY. Her: Because I need more socks for Friday. Me: For FRIDAY? Do you have socks for today? Her: Yes. But I won't have enough for Friday. Me: Friday is three days away. I can do your laundry tomorrow or even Thursday. Her: And it will be done by Friday?!! You guys. She LEGIT thinks that laundry takes THREE DAYS. Congratulations on making it to Friday!! You deserve more cookie cutters! 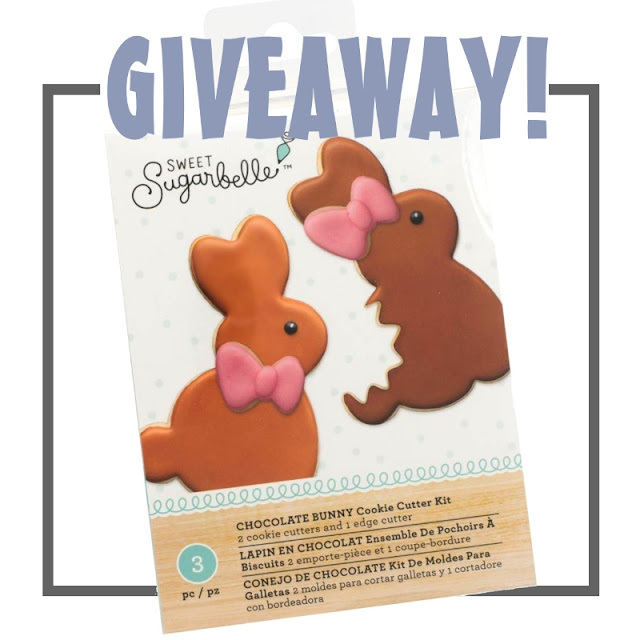 😁😁 Want to win one of these Sweet Sugarbelle Chocolate Bunny Cutters? Just click that Easy Entry button by midnight tonight! How Do I Stop Sugar Cookies From Spreading? Have you ever tried a sugar cookie recipe that claims to be "non-spreading" and then baked princess carriage cookies that came out of the oven looking more like smashed pumpkins? Have you ever given your "no-fail" recipe to a friend only to have them return with a FAILED verdict? 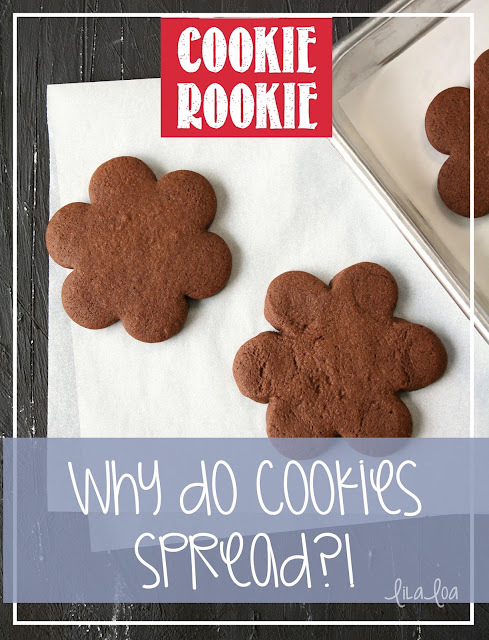 WHAT MAKES SUGAR COOKIES SPREAD??! I'm not sure if you know this...but I make chocolate sugar cookies. I've made chocolate sugar cookies using the same recipe for a reallllllly long time. My recipe is solidly in the no-spread camp. But that doesn't mean that it will come out perfect 100% of the time. A really good, really solid recipe is only PART OF THE EQUATION. 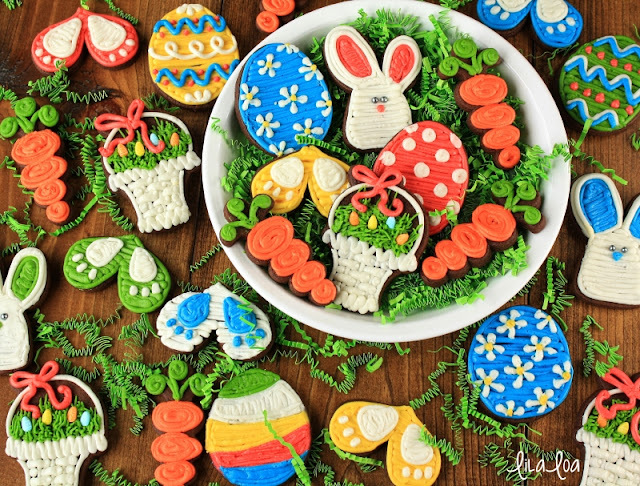 If you are struggling with sugar cookies that spread, read the nine tips below and start baking with confidence!